For over forty years, the Doctor has battled against the monsters and villains of the universe. This book brings together the best — or rather the worst — of his enemies. Discover why the Daleks were so deadly; how the Yeti invaded London; the secret of the Loch Ness Monster; and how the Cybermen have survived. Learn who the Master was, and — above all — how the Doctor defeated them all. 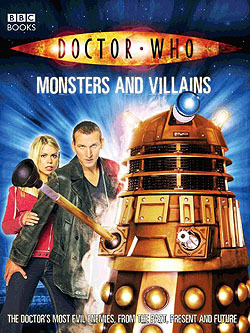 monsters and villains that have made Doctor Who the tremendous success it has been over the years.